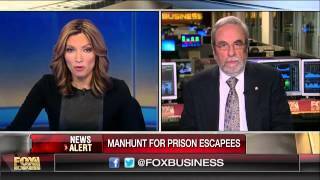 Link to video of my interview on Fox Business to discuss, "California jail escapee was ordered deported back to Vietnam in 1998"
Jan. 27, 2016 – Former INS Senior Special Agent Michael Cutler on the escape of three inmates from a California jail and the Syrian refugee crisis. Immigration authorities and records indicate that one of three inmates who escaped from a California jail had been ordered deported to Vietnam in 1998 but remained in the country and racked up a lengthy rap sheet including an attempted murder charge. The bottom line is that aliens subject to removal (deportation) may be held in administrative custody for a limited period of time in order to carry out the removal of that alien from the United States- but when it is apparent that an alien may never be removed for reasons that include the fact that they are stateless or that their native countries will not issue a travel document to enable them to be sent home, those aliens must be released after a period of six months. aliens determined to be specifically dangerous. Notwithstanding these facts, the administration has released thousands of criminal aliens- many of whom have been convicted of committing violent crimes. This endangers public safety and, indeed, many of these aliens- not unlike one of the escapees in this case, have gone on to commit still more violent crimes and have, in some instances, committed homicides. On December 2, 2015 the Washington Times infuriatingly reported, “ICE gives away $113 million, says not enough illegal immigrants to deport.” That article focused on the testimony of the Director of ICE, Sarah Saldana, who conceded that although there may be as many as 15 million illegal aliens present in the United States, that because of a number of factors including administration policies, ICE had returned $113 million in appropriated funds that were supposed to be used to arrest and deport illegal aliens. It is time that when the “compassion card” is brought out- the issue of compassion must first take into account the safety and well-being of America and Americans. There is nothing compassionate about committing suicide! I urge you to get involved and demand our elected representatives actually represent us- We the People! The information contained in my article is being provided to educate as many of our fellow Americans as possible so that they can ask the right questions and make the appropriate demands on our political leaders and representatives. The article for which I am providing the links below should motivate everyone who reads it to call his/her senators and representatives to demand answers to know what congress is going to do to protect America and Americans- especially our children! Please pass this suggestion to as many folks as you can! America, first and foremost, is comprised of its citizens not rivers parks and cities. We have never had more American citizens, especially minority citizens, living below the poverty level. We now expect that American kids will not do as well as their parents. This is not how we will get America to lead. Simply stated, American Lives Matter!! One of the points of contention where political “liberals” and political “conservatives” are concerned is how much government is appropriate, with conservatives demanding less government and liberals generally believing in more government, an issue that should be agreed upon by all reasonable Americans is the need for our government to secure our borders and enforce our immigration laws. This should not be a divisive issue- our immigration laws are completely and utterly blind as to race, religion and ethnicity and were enacted for the two primary purposes of protecting innocent lives and protecting the jobs of American workers. If ever there was a “No brainer” issue- you would have to believe it would be the fair and effective enforcement of our immigration laws. Decoding Politicians’ Immigration Newspeak –The devious manipulation of language employed by the political class. All reasonable Americans want to live in safety where the American dream provides opportunities for anyone who is willing to acquire an education, work hard and benefit from a bit of luck. They want the same for their children and their children’s children. How on earth could there be any controversy about the need to prevent criminals or terrorists from entering the United States? How on earth could anyone think that it is good for Americans to have to compete with foreign workers from Third World countries for their jobs- forcing wages down, thereby creating wage suppression? Meanwhile, the lack of integrity to the immigration system not only undermines national security and public safety but is leading to the dismantling of America’s middle class and with it, the American Dream. On July 22, 2014 FrontPage Magazine posted my article: “Immigration ‘Reform’: Engineered Destruction of the Middle Class” The real reason high-tech titans are lining up behind the amnesty effort. I recommend you review Senator Session’s statement on June 27, 2007 from the floor of the U.S. Senate on the Immigration Bill in which the Senator made reference to my suggested new name to that disastrous legislation in my Washington Times Op-Ed. His impassioned pleas to his colleagues averted a catastrophe and that legislation was defeated. However, not unlike Freddy Krueger, Comprehensive Immigration Reform has been brought back to life through the unilateral actions of President Obama and his proposed executive actions. Furthermore, there are politicians from both parties willing to give this legislative betrayal of America and Americans CPR! Today our nation and our citizens face a list of challenges and threats- nearly every one of which is being exacerbated by long-standing failures of our nation to secure our borders and enforce our immigration laws. To be clear, it is not “Anti-Immigrant” to want these two issues to be dealt with effectively. In point of fact, the same immigration laws that mandate the categories of aliens to be kept our of our country and the terms under which aliens should be removed from our country have absolutely nothing to do with race, religion or ethnicity, also provide for the lawful admission of roughly one million lawful immigrants and the naturalization of hundreds of thousands of new citizens each year. When the issue of immigration comes up most people purely focus on the lack of integrity to the border that is supposed to separate the United States from America. Clearly that border lacks integrity and represents little more than a speed bump to smugglers who transport illegal aliens and contraband including record quantities of dangerous drugs such as heroin and cocaine into the United States. Who will find the answers while there’s still time to prevent a disaster? The interview ran about 4 minutes and is worth watching. 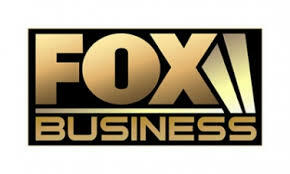 Author MichaelPosted on January 28, 2016 January 28, 2016 Leave a comment on Link to video of my interview on Fox Business to discuss, "California jail escapee was ordered deported back to Vietnam in 1998"